In 1950, after losing numerous battles, our nation finally won the war against the tyrannical dictatorship of both British and Indian Kingships. Our divided and misled masses, were finally stabilized with a Constitutionalized Democracy led by legendary Masters like Dr. B. R. Ambedkar, Pandit Jawaharlal Nehru, Sardar Vallabhbhai Patel, B.N. Rau, Maulana Azad and many more. For this was the year, our country installed our very first Constitution into action which also turned out to be the largest in the whole wide world. 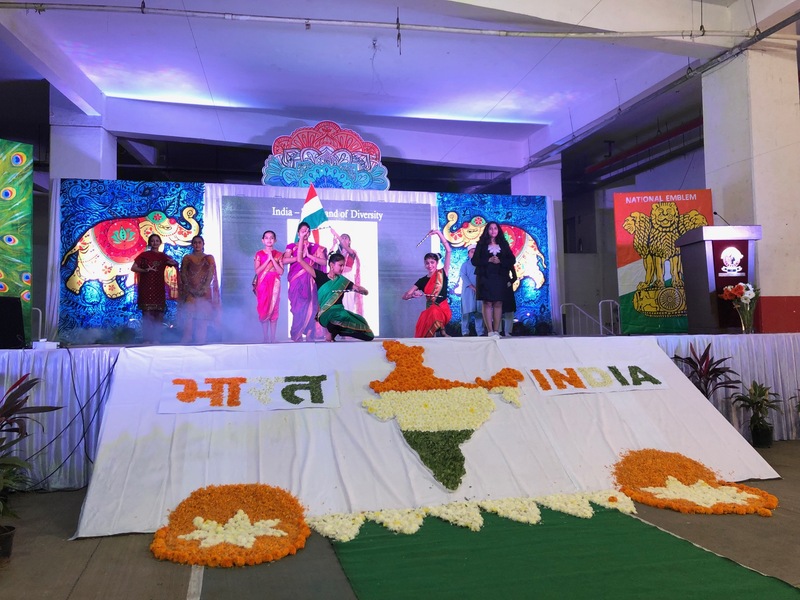 So as to instill that sense of pride and honor in our children, we celebrated the 70th Republic Day of India at Victorious Kidss Educares (VKE) with more zest than ever. Although India got freedom from British rule on 15th August, 1947, but it was on 26th January, 1950, the day when this constitution was adopted. Since that day, we are rising from the ashes of poverty and illiteracy ~ induced by British and other Colonial power and stand tall with our heads high, proud of our progress and filled with dreams for our future! ‘Awakened India ~ India the conquered shall conquer her conquerors, in the 21 centuries’ ~ God Talks with Arjuna ~ Bhagvad Gita ~ Parama Hansa Yogananda. 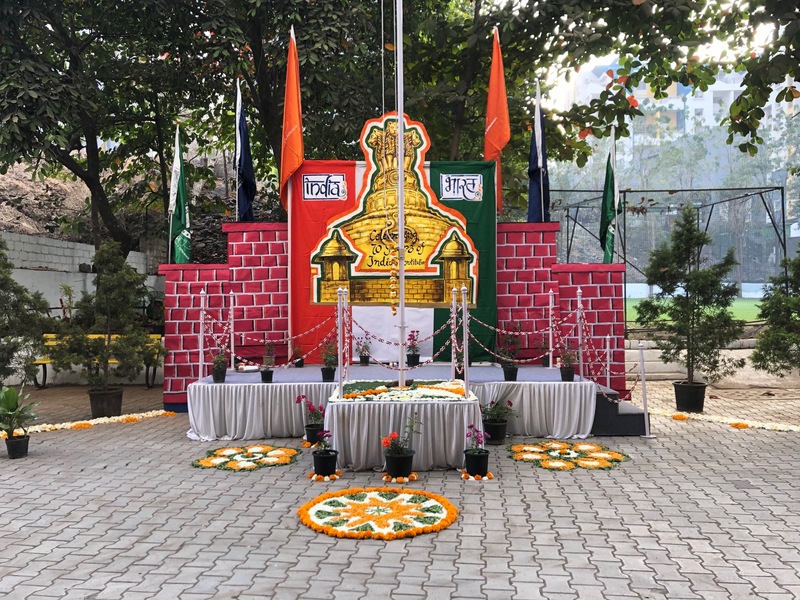 To honor this day, the school’s premise was splendidly decorated with tricolored crafts, hangings, and flowers and to grace the occasion, we had Retd. 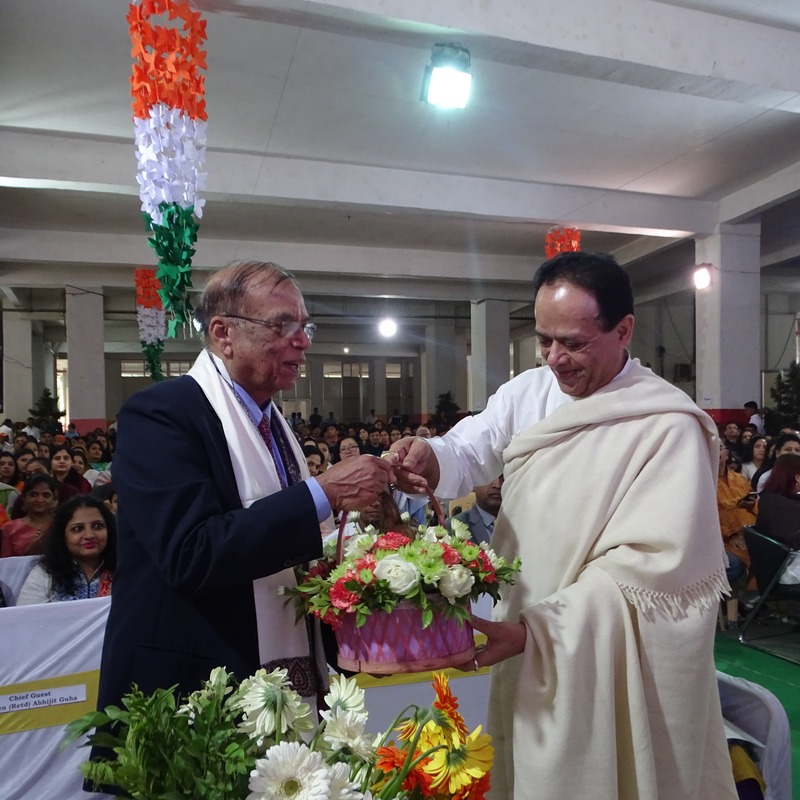 Lt. Gen Abhijit Guha, AVSM, as our esteemed chief guest, who was commissioned in Indian Army from June 1974 to Nov 2013. 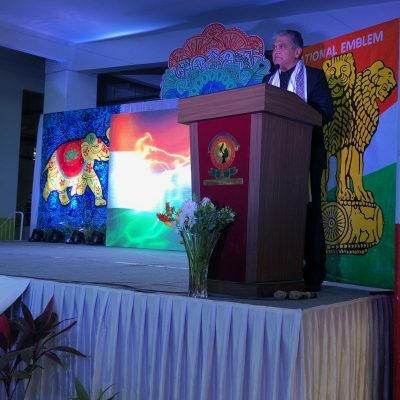 We were also commended by the presence of Captain GK Kaushik, who served in the Indian Air Force and Air India and was also a part of the Indo-Pakistani war of 1971, as our guest of honor. Accompanying such dignitaries, we had our respected President Sir Robbin Ghosh and Principal Ma’am Saarada Ghosh, PTA members, Parents, and our entire VKE family to enrich the ambience with their presence. 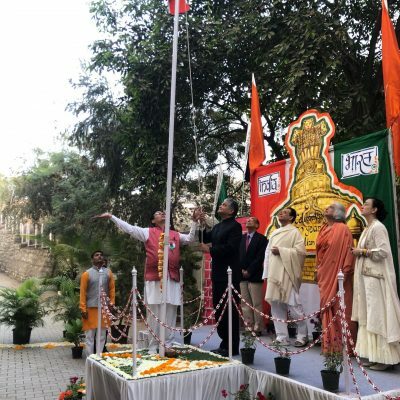 The flag was hoisted by our honorable Chief Guest, while everyone stood in reverence of the National Anthem, played by our school choir. 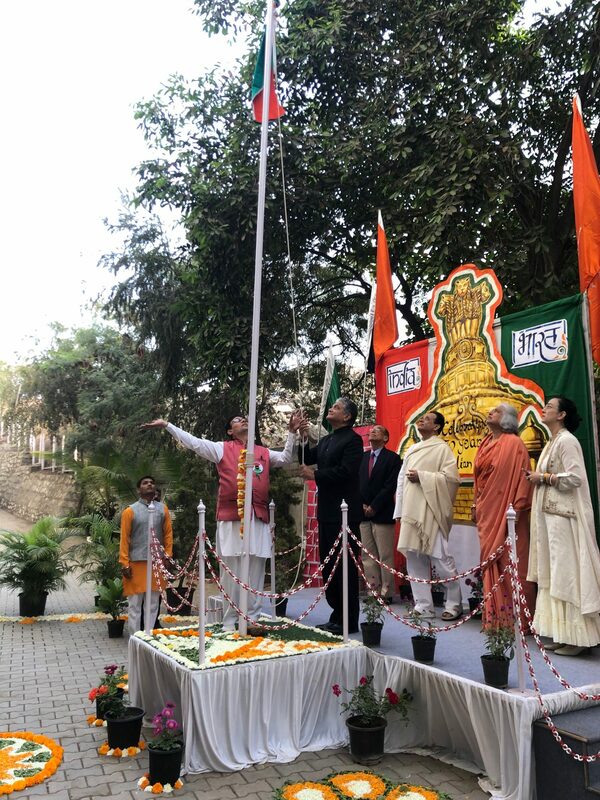 Everyone saluted the tricolor whilst feeling proud of motherland’s rich cultural heritage and history. 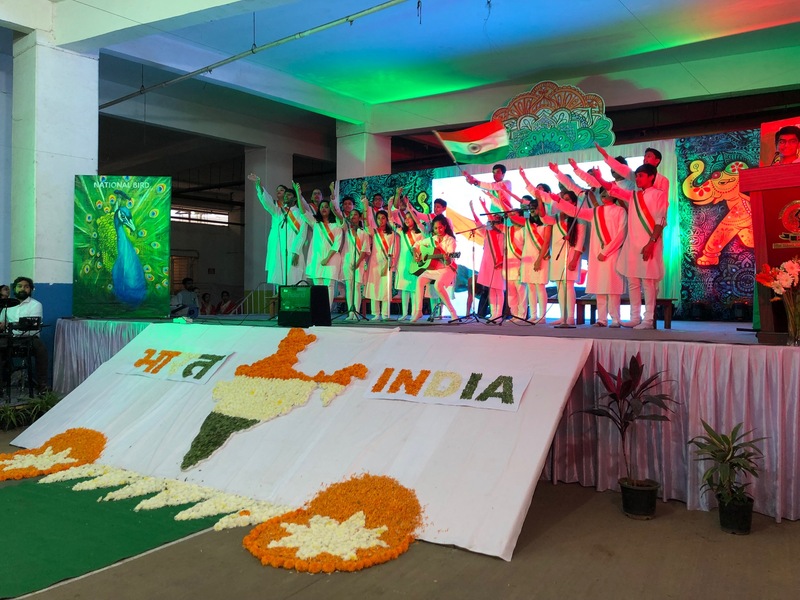 To commemorate the epoch, a patriotic fusion song was sung by the school choir, that left everyone breathless and enthralled. 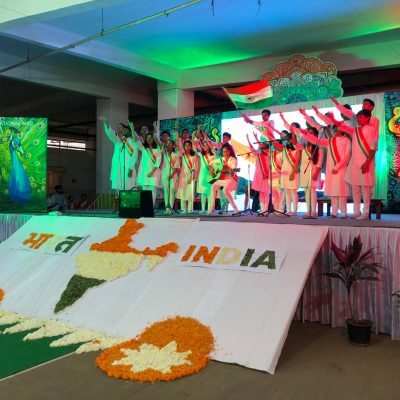 Everyone was betrothed as those beats, those melodies and enthusiastic voices refined the atmosphere with patriotism. 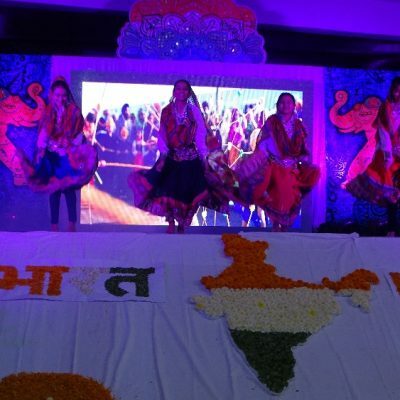 India is a vast country with many cultures and languages. From the vibrant North to the serene South, from the eloquent East to the energetic West, India has it all. 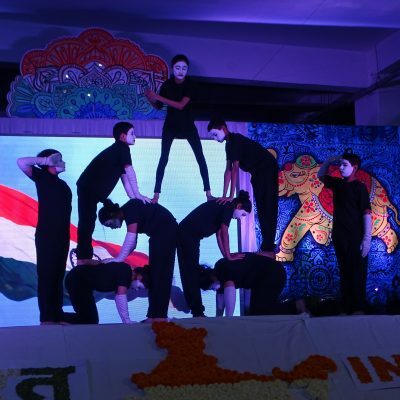 Amongst the diversity, the differences, there is unity in all Indian hearts. 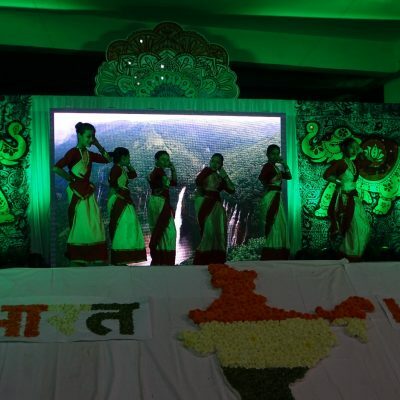 An Assamese Bihu dance was performed representing the eastern border of India. The brisk dance steps, rapid hand movement and rhythmic swaying were a treat to watch. 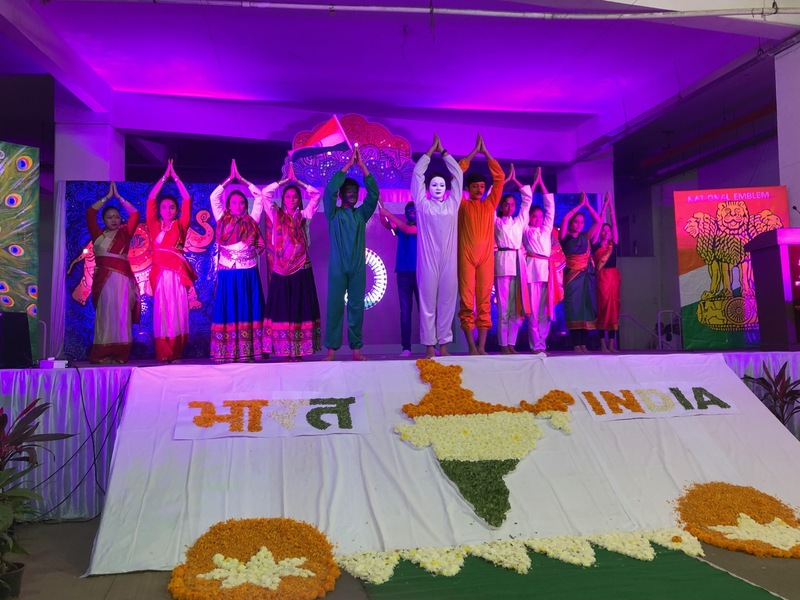 Our champions paid tribute to great freedom fighters and martyrs of those times, with their actions speaking louder than all voices in the Mime act performance by MYP students which took everyone’s heart away. Look at the pictures, and they will say it all. 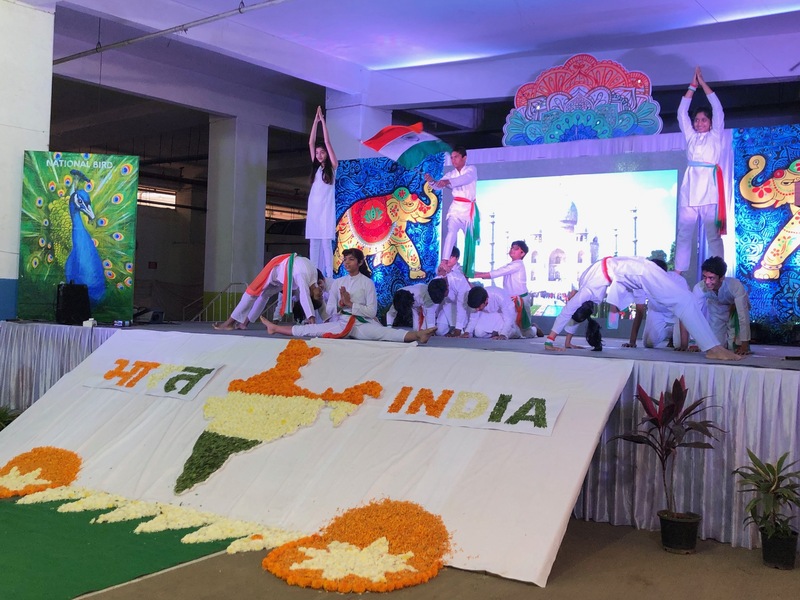 It was followed by a “Tribute to India” dance performance by our gymnast champions, who depicted the beauty and power in unity. Along with gymnastics, traditional Malkham is also taught in Victorious Kidss Educares. 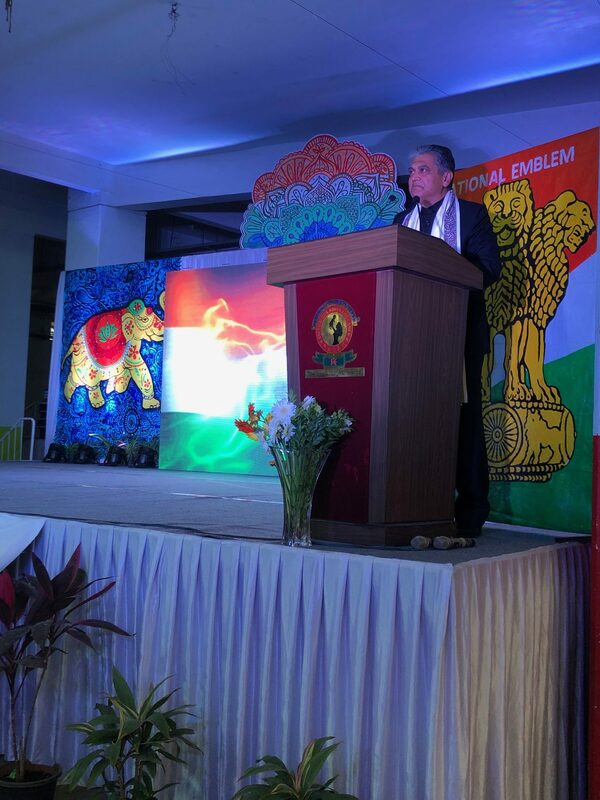 Next, we were more than delighted to receive an inspiring speech delivered by our honorable chief guest Let. Gen. Guha. He motived us with his profound thoughts and invaluable experiences. He congratulated VKE for teaching life skills and attitude in children and emphasized on the role of meditation and yoga in life, to stay away from ‘lifestyle diseases’ which is a rising concern for today’s fast-paced society. He cherished all the champion performers that took him down the memory lane and moved him to tears. 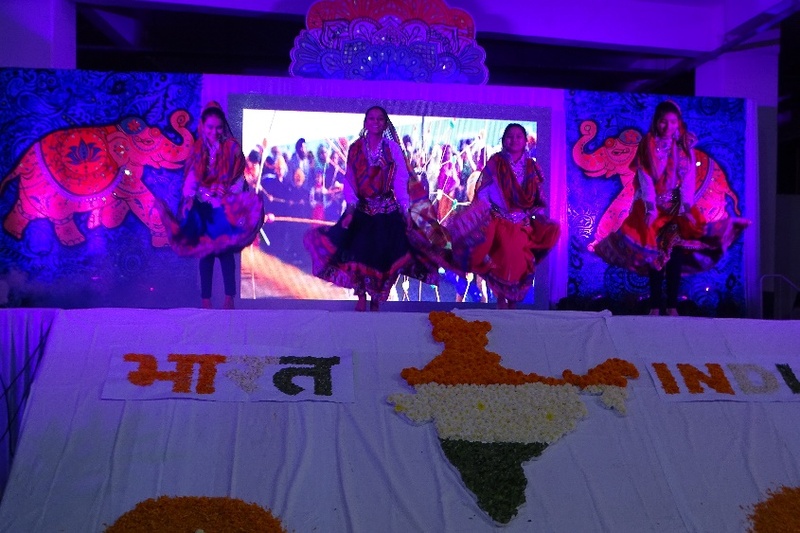 After the speech, we had a dance performance representing the northern states of Punjab and Haryana, displaying the joy of farmers in the harvest season. 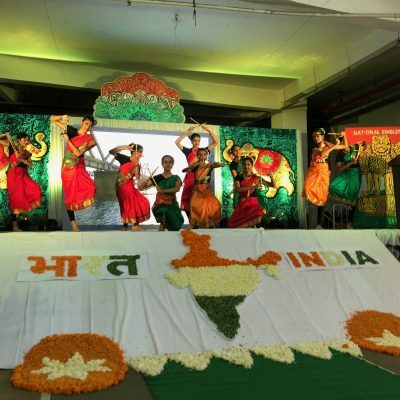 The traditional dance style is termed as Googa Dhamooda dance, that made everyone fall in love with the North. Side by side, Dangal play was shown by girls, depicting the change in society, where girls’ potential is being realized and promoted in our society. 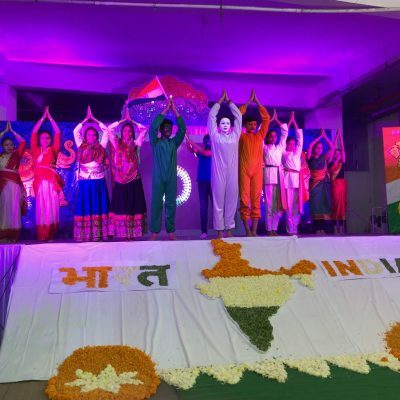 The next performance multiplied the excitement and patriotic fervor, with a dance based on our national song, Vande Mataram. May the spirit be always awake in us.Later, the attention was shifted to south of India with this dance form known as Kolattam or Kolannalu or simply as ‘Stick dance’. 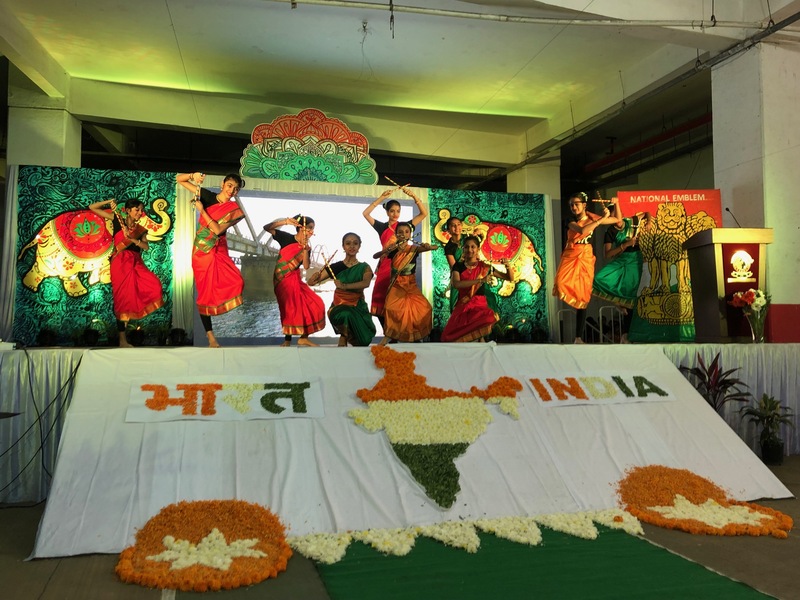 The rhythmic movements, music and sticks were excellently coordinated, making it an extremely captivating performance for the audience. 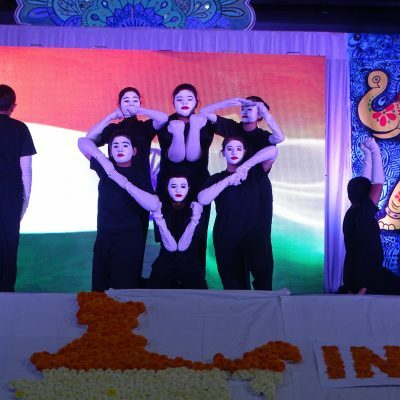 All these lovely dance performances depicted that Indian ethos is an amalgamation of several cultures, with myriad of traditions. 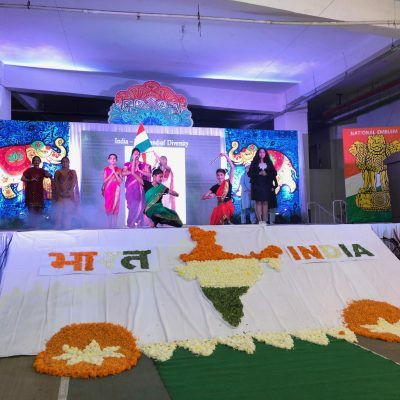 India is a molding pot where all these cultures blend together and become ONE. The next performance showcased this emotion of brotherhood and National Unity. Then, our President Sir was invited to edify us all with his pearls of wisdom and profound thoughts on this great day. Sir inspired us to be courageous and fearless like a lion, like our freedom fighters, who fought for the country, with an attitude of “I can”. He said, “If you strive for excellence, you will achieve it”. 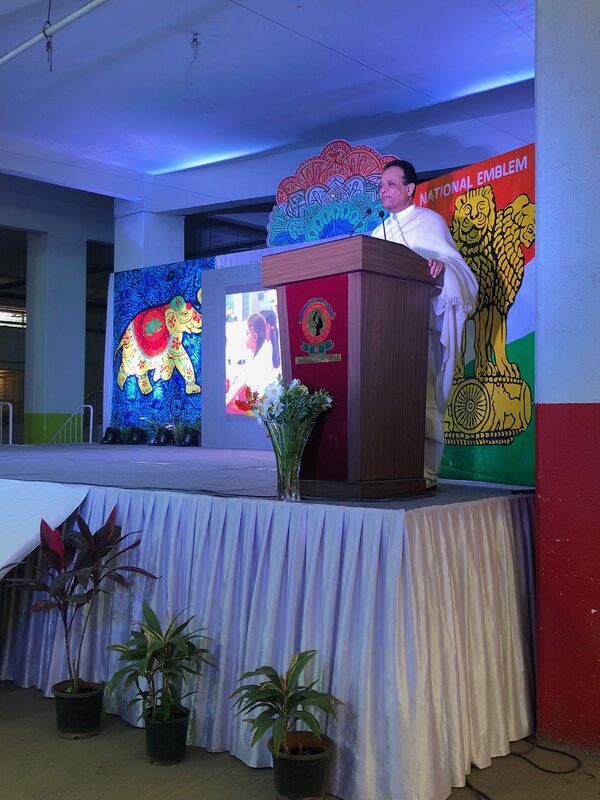 He emphasized on the inculcation of Yoga in our lives and the sheer necessity of guiding our millennials towards spiritual discipline via meditation. Like always, he explained the near incomprehensible teachings of Vedanta using simple and fun examples which would help us grasp those life lessons with some ease. He put forth the importance of spiritual calmness with a simple story of the ocean wave which finally understood the meaning of ‘becoming one with the ocean’ and attained enlightenment. He also entertained the masses with a fun story of ‘The monkey and the farmer’ whilst guiding us with the moral wisdom of ‘Letting go of things’ i.e. 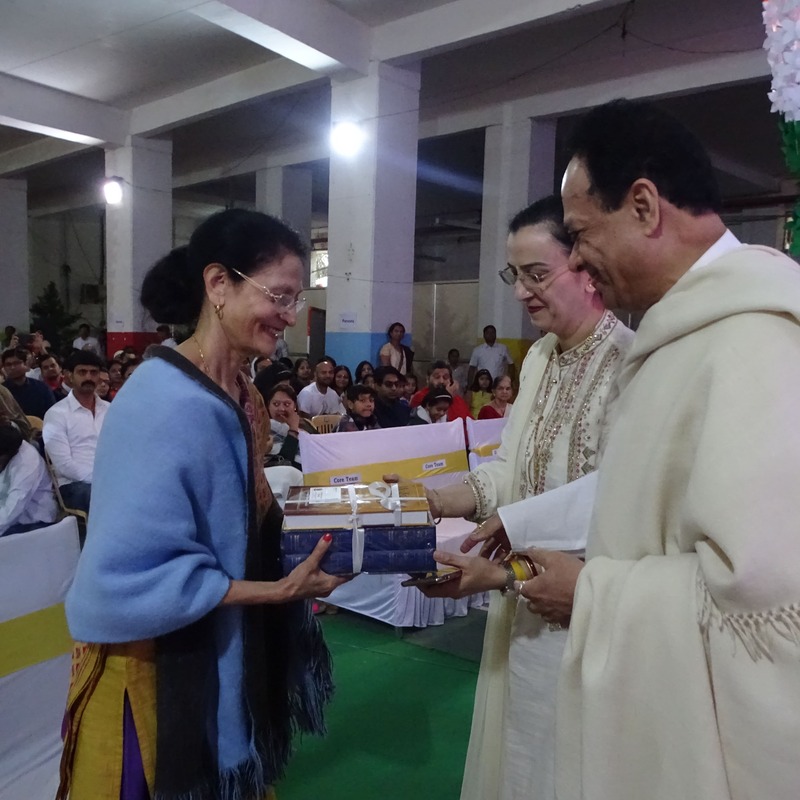 ‘importance of detachment in human life’. He truly believes in our school’s philosophy, that “Every Child Matters” and leave no stone unturned for the same. He concluded that IB is similar to Vedantic style of teaching, where it’s not the content, but a concept that is explained and skills are developed in children, to make them successful in life. 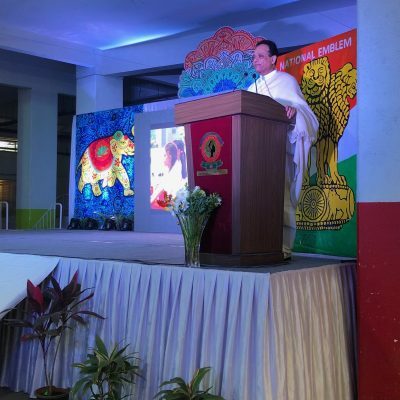 “India the conquered would conquer her conquerors in the 21st Century”. He said, “Our students are the people, who will bring that change”. 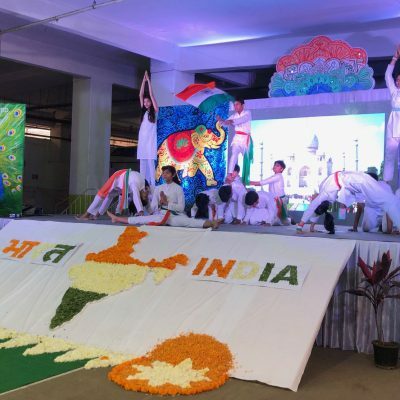 The event concluded with everyone realizing the love for our Nation we always nurture in our hearts, as it is the bond of love and dignity that unites us all as ‘Indians’. 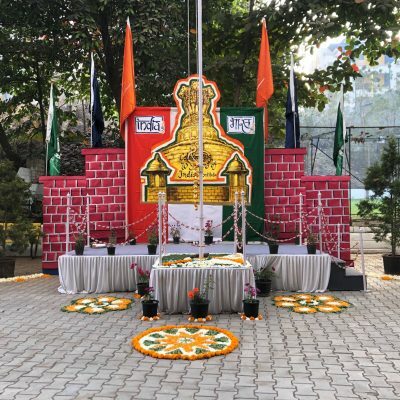 This day is marked as a reminder to always stand up for the truth and fight against falsehood, at all times, to protect the dignity of our national emblem which holds the morality of our nation inscribed as “Satyamev Jayate”. 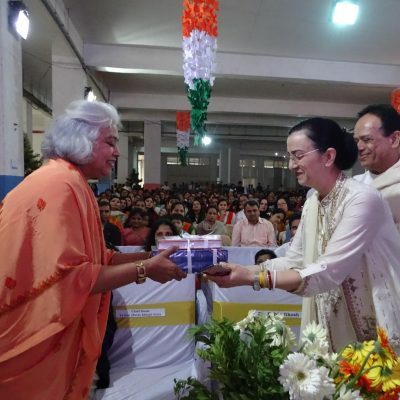 As a society, as a school and as a parent, it is our rightful duty to imbibe such morals in our children to help them become the indispensable Citizens of this Incredible Nation!